Have you had an ant infestation around the home? You must agree they are sociable, where there is one ant the others are sure to follow. Maybe you have had a trail and left them unintended and need the best ant extermination Las Vegas company to take care of the problem. You have made the right decisions, but the fact is ants are not easy to deal with. With the climate in Las Vegas, this small insect thrives in large scales and quite common in any home. The problem is they need to eat. Once they colonize, only a specialist can help. Ants are small critter and may seem harmless, but they can become destructive. The majority of ants do not bite humans, but you can find a few that will eat you when you want to exterminate them. They travel in groups, and once they decide to attack, it is not a pretty picture. The problem is that ant species differ from one another and each one needs dealing with differently. Black ants are foragers and move into the home to find food. Compared to the black ant the carpenter ants prefer residing in wood and difficult to control. If you own an old home, the likeliness is that you will have these termites infesting the wood structure of the house. The most significant problem an ant exterminator faces is that their colonies never end and getting rid of them, you need to find the queen. The best course of action is to take action now. Will the Ant Treatment Last? The reality is nothing lasts eternally. You need to take precaution to keep things on track, and the best is having regular ant inspections done. You can consider using over-the-counter products, but they do not last. A professional service comes equipped with the best products that ants carry back to their colony and most importantly the queen. Furthermore, you get a qualified business that knows the destructive pests can cause in and around the home. They know how to take care of small infestations. The treatment might not be eternal, but with regular checkups at least once a year, you can keep the problem at bay and get back your home. You will make the best investment ever as ants can cause structural damage that costs you loads of money in the end. 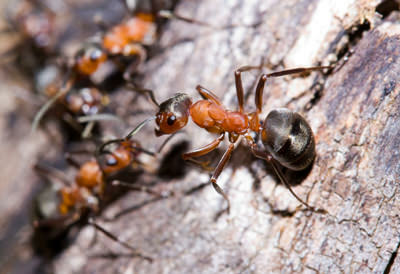 Take care now and call one of the best ant exterminator experts to handle the problem.